The Fiji Trades Union Congress permit application to have a march and rally in Suva tomorrow has been rejected. Acting Deputy Commissioner of Police, Rusiate Tudravu says the decision and the justifications to deny the request has been relayed to the applicant. He says Police will not make any further comments on this. FTUC National Secretary Felix Anthony says he is disappointed with the decision. Anthony has also confirmed that FTUC will now have a meeting to come to a decision on their next step. 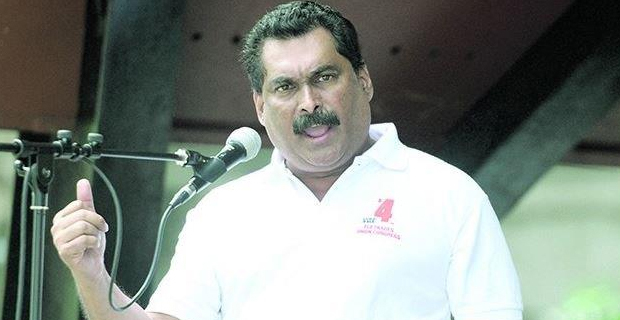 The FTUC National Secretary is under investigation after he said in a rally during the ATS march in Nadi that they will take things further by organizing a national strike to shut the country down. Anthony said in that rally that their affiliated unions are now preparing for another march in Suva, and then a national strike. He says the march was about a minimum wage of $4.00, against the imposition of individual contracts on civil servants and teachers and workers in government owned entities, government to reveiew labour laws, workers’ right to strike, in support of ATS workers’ plight and in support of Vatukoula striking workers since 1991. They will reveal their next step after their meeting.